Last month my daughters were dancing at the Odaiba Hawaiian Festival. Due to the large number of performers we were allotted space in an unused exhibition area to prepare. This area still had items from a 2008 design exhibition were on display. 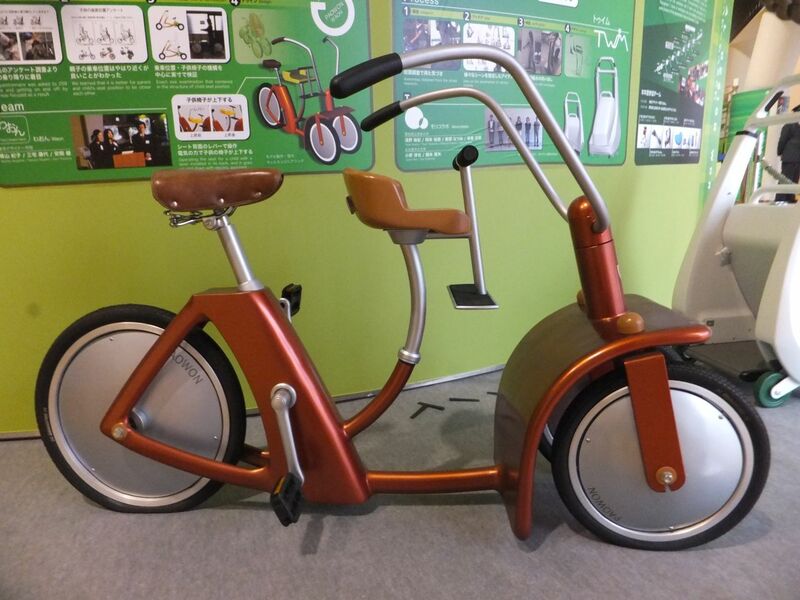 Imagine my surprise when I found this concept electric bicycle from 2008. It was like stumbling across an abandoned Zoltar machine at the fairgrounds (that's a BIG reference). The concept bicycle was the winner of a 2008 design contest for design students. 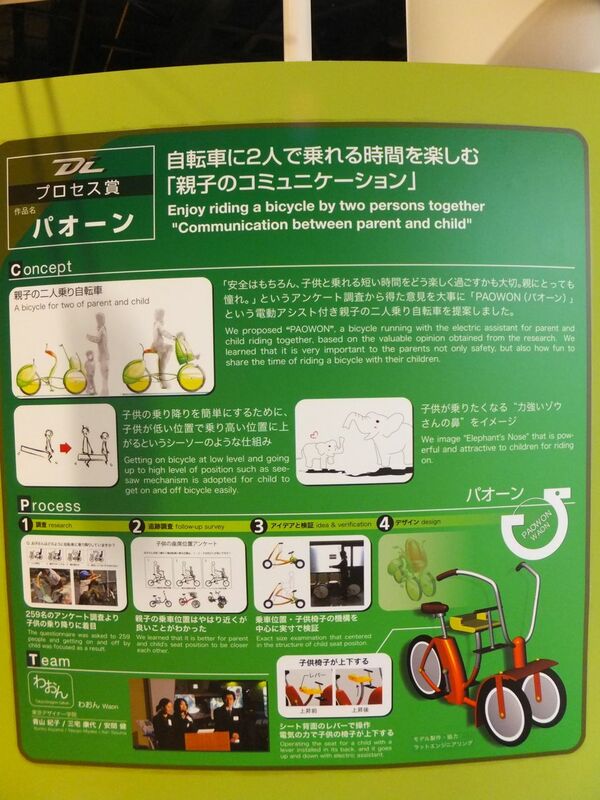 The bicycle has a number of features that make it attractive to parents who wish to cycle with a child. It has a low centre of gravity, three wheels for stability, electric assist, and most importantly the child is seated in front, and close to the parent. But closer inspection reveals these design students are not parents. The child seat is better described as a "bar stool" as it has little more than a 5cm back, which makes it most unsuitable and dangerous for a child. There is a reason parents don't sit at the counter at ramen and sushi restaurants, and that is because children have a hard time staying perched atop stools. Even with the foot rest and child handlebars it is still a poor design for children. As of 2012, I've not seen any of these bicycles on the street so its safe to assume that this one never made it out of the concept stage!